-A wall at the entrance includes "M" Club Hall of Fame inductee plaques representing every member of the hall. 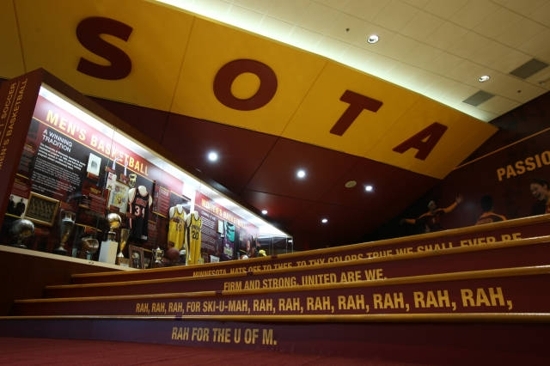 -The Hall of Fame includes a historical timeline of Golden Gopher Athletics on the southeast wall. 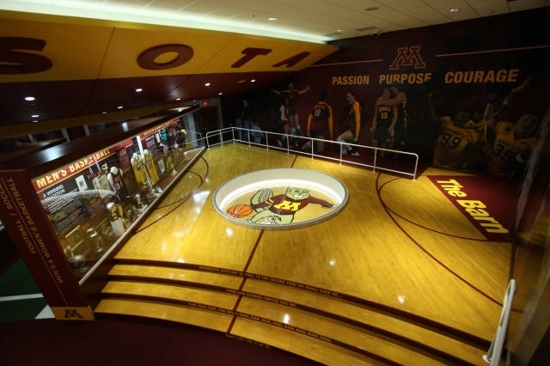 -The Hall of Fame includes the original Williams arena center court. 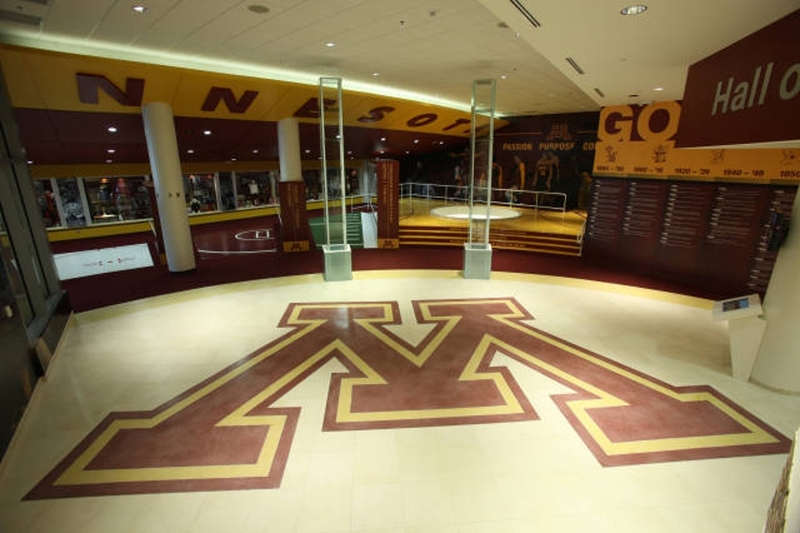 -Completion of construction on the Hall of Fame marks the first time that Golden Gopher fans will have one space dedicated to the history and tradition of University of Minnesota Athletics. -Admission to the Hall of Fame is free. The Hall of Fame is open Monday-Friday from 10 a.m. to 5 p.m. and from 10 a.m. to 2 p.m. on Saturdays. The Hall of Fame is also open on football game days to ticketed individuals. -TCF Bank Stadium was opened prior to the 2009 football season at a cost of $288.5 million. "This is truly a historic day for the University of Minnesota and Gopher Athletics. It not only marks the opening of the T. Denny Sanford Hall of Fame, but this is also the final leg of a year-long journey for Gopher fans and for the State of Minnesota. We had this dream to bring Gopher football back to campus."